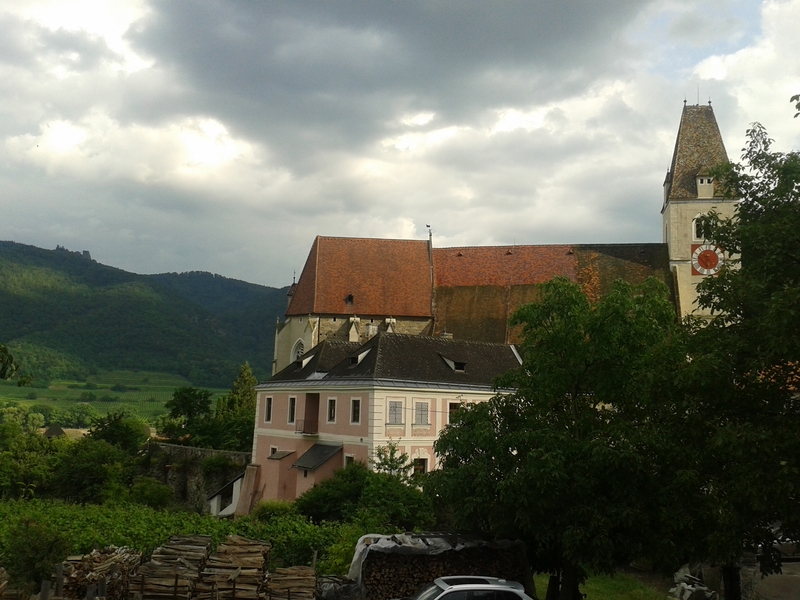 It was mini-adventure time this weekend, so despite the weather being less than summery, we set out on a daytrip to explore the Wachau. 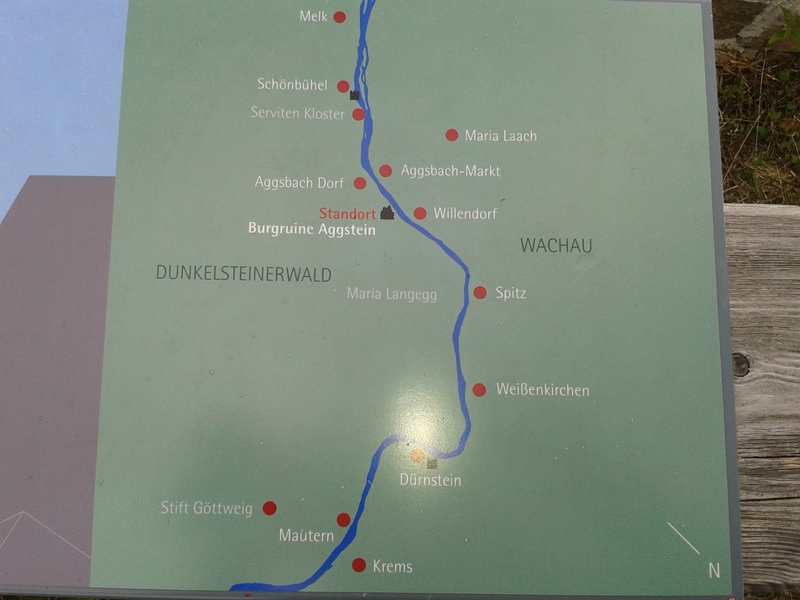 What is Wachau I hear you cry? Well for starters, its this…. We had a pretty little drive to get out there, through lots of cute little villages, even saw a few weddings en route – but the effects of recent flooding were still evident along the sides of the road. The spot where we took the photo above would have been completely unerwater a few weeks ago. So to revive local tourism, S had a surprise in store for me, in the form of a Giant Castle!! I love castles! On top of A Mountain! Beside the Danube! Glorious! Lost the pointy bit on top, but you get the idea, no? CASTLE!! Aggstein Castle is a big, reconstructed Fortress that was first built in 1350. Most of the roof has gone but a whole heap of the original rooms and castle walls remain. Its been really well restored and you can roam about freely to get a good feel of the place as it would have been in its heyday. 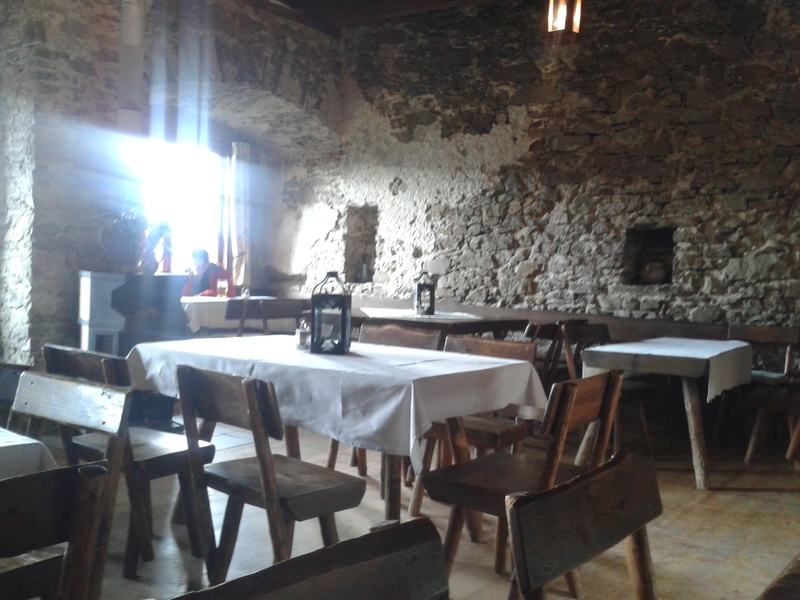 Battlements, wells, cellar’s and original kitchen elements are all still there. Huge stretch of castle to frolic in! And if geeking out over historic details isn’t your thing, then the views alone are worth it! 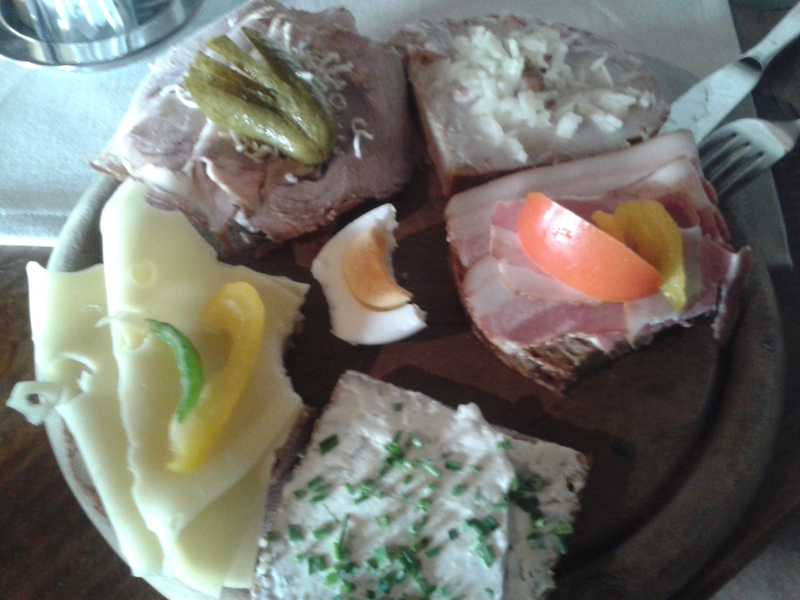 The cafe restaurant is very traditional style Austrian, super homely and lots of wood. Because the weather was a bit scheisse we headed for a table indoors, where they had dellightful bay window seats and kitschy posters. The manager/waitress revealed the upstairs area had been a hostel in the ’70’s. Can you imagine staying here as a backpacker for about ten bucks a night??!! Luxury!! I was tempted to request an overnight but S is yet to stay in a hostel (travel princess much??) so I thought this was maybe not the best induction one could ask for. Taste’s better than it looks, I swear!! 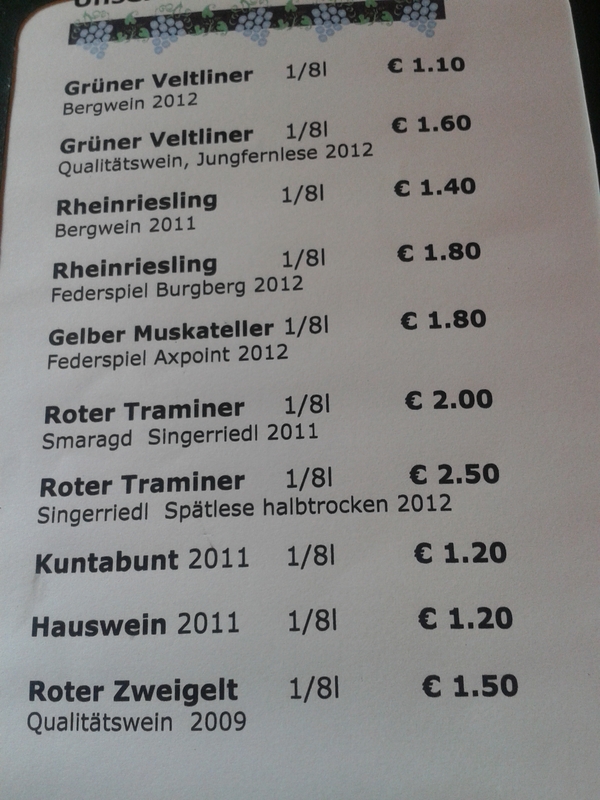 I can never go back to Australian prices for wine…. After whiling away 3 hours ‘tasting’ the beautiful wine the weather came in on us, but it had definitely been well worth braving it all day! If that doesn’t help you, stay tuned, because I think we’ll be headed back here soon, hopefully with friends in tow!! Thank you for sharing these beautiful photos Carly! 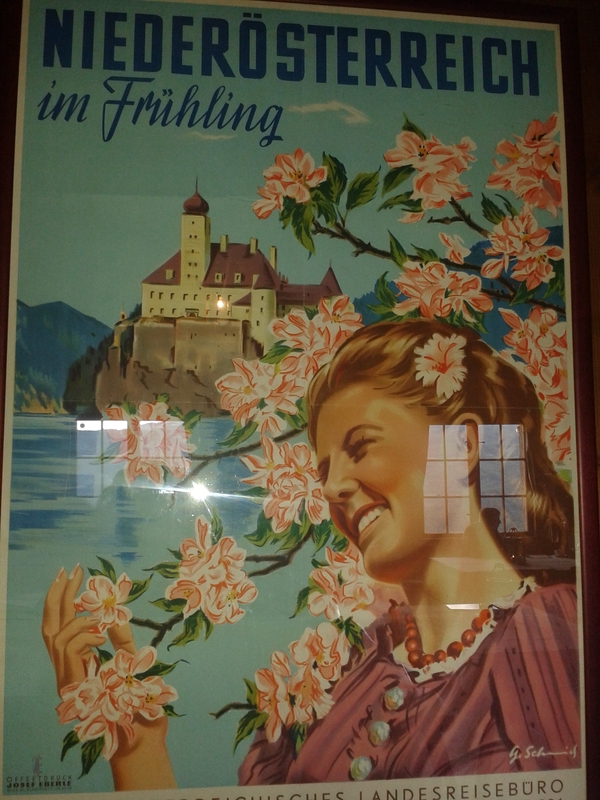 I keep hearing about the Wachau region, and will have to insist on a vist during my next stay in Vienna. I’ve been quietly following your blog for a few months now…I’m Canadian married to the Viennese love of my life, and although we currently live in the UK, we’re looking into relocating to Austria. I may have missed it, but do you have a contact email address up on your blog? I can only encourage a move to Austria, purely ‘cos its so stunning! The whole language/finding a job thing is really tough, and you have to get your paperwork in order to get Visas sorted, but its been so worth all the struggle! And the weather’s better than the UK, with mountains a bit more similiar to what you Canadians are no doubt used to! Thanks for getting in touch.